Cafe Leblanc isn’t only a place for serious coffee lovers, but it’s also where Tokyo Game Show visitors can play some Persona Q2. Atlus has recreated the coffee shop, turning it into a TGS demo station. There are some nice details, such as the cafe’s yellow public phone and the painting on the wall. 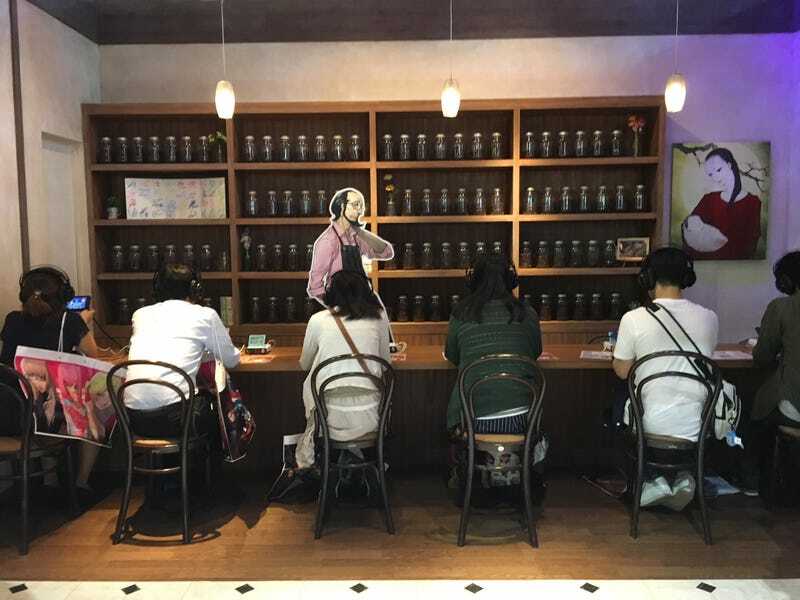 Too bad the Sojiro cutout can’t teach us how to make a perfect cup of coffee.